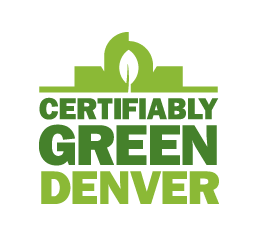 Per Colorado Statute restraining orders are referred to as Protective Orders. Denver divorce or custody cases involving a restraining order are typically filled with high conflict and present quite a different set of challenges, compared to a more amicable divorce. Our divorce and custody attorneys understand these challenges and have vast experience with high conflict cases involving protective orders. 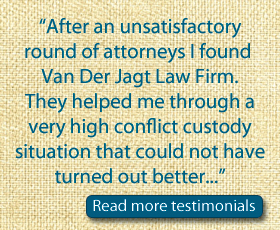 I hired Culver Van Der Jagt for a divorce, not knowing how complicated and horrific my case would turn out to be. With Culver’s support and guidance, I am now safely away from my ex (and have a wonderful Permanent Protection Order against my ex) and am happily divorced. Culver really understands Domestic Violence and gave me great recommendations for getting the help that I needed. I cannot imagine another attorney giving as much time or dedication to my case. Protective orders are for protection of a party or children from violence, or the threat of violence. Occasionally, a protective order is needed to protect the well being of an individual or group of individuals. refers to acts of harassment, assault, physical violence, or stalking. In hazardous situations such as these it is crucial to seek immediate aid and distance oneself from the abuser, utilizing a court ordered restraining order. There are two distinct types of protective orders, which include a temporary restraining order and a permanent restraining order. A temporary restraining order lasts a duration of about 2 weeks. Whereas, a permanent one lasts indefinitely. Furthermore, a hearing is required to implement the regulations of a protective order. If an individual requests such an order against their spouse, this can complicate matters, including residency, custody, and assets. So, how does one know when to seek a protective court order? Typically, signs arise in the household dynamic. If one feels as if their general well being is being threatened, they should request this type of order. For example, if they are the victim of threats, violence, or any threat to their physical well being, then a hearing should be summoned for a restraining order. Seeking out a restraining order is a serious decision, and should not be taken lightly. However, anyone who is subjected to physical abuse, harassment or stalking should not withstand such hostile conditions. An individual can request a restraining order against the person who has abused them, or threatened their well being in some sense, whether this individual is male or female. Furthermore, the person requesting a protective order must be at least 12 years old. Even if the target of a restraining order attends the same facility or lives in the vicinity, a restraining order can still be summoned. The restraining order process typically requires about two business days, during which a judge will review the case and decide if it is an appropriate fit. A protective order does not require pressing criminal charges, nor does it have to entail prosecution in any sense. The cost of applying for an order is free, and it can offer an immense sense of peace of mind. In order to file for a restraining order, consult with the supreme court system in the Colorado area to obtain more information. Having a judge understand your plight can give you relief and and a greater sense of safety.